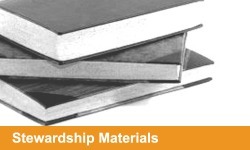 Undated Stewardship Bible study units for all ages. They can be used during times of special stewardship emphasis. Each age group has five one-hour lessons. 1. Living the Responsible Life (96 pages) A tried and proven book about the principles and practices of total life stewardship for the individual. 2. Stewardship Programme for the Local Church (32 pages) A basic book to help the local church to understand its role in the teaching and practice of good stewardship within the local church setting. 3. Guidebook for the Total Stewardship Campaign (48 pages) A book which gives churches step by step guidance in how to conduct a stewardship campaign. 4. Accountable to God (48 pages) A book for the family on the stewardship of all God's gifts, with special emphasis on family money management.